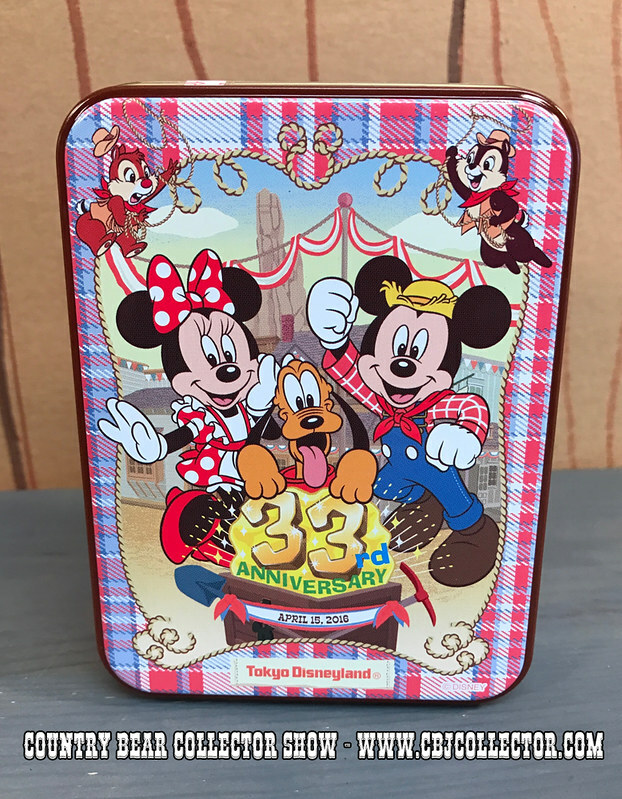 This week our host looks at another piece of merchandise from the 33rd Anniversary celebration at Tokyo Disneyland. This collectable tin of ‘biscuits’ features Mickey, Minnie, Chip, Dale and some of the Country Bears from the Country Bear Jamboree! Our host unboxes the biscuits and gives the whole thing a ‘Paw Rating.’ Be sure to check out the Country Bear Collector Show Facebook Page over at http://www.facebook.com/CountryBearCollector for an exclusive video of our host trying the biscuits inside!